Holy Week is a significant religious observance for the Roman Catholics and some Christians around the world. It is the week preceding Easter and it begins on a Palm Sunday. Traditionally, it is a week of somber reflections before Jesus’ death. While Holy Week is solemn and sorrowful it is also celebrated with a lot of anticipation about the joy of Easter. 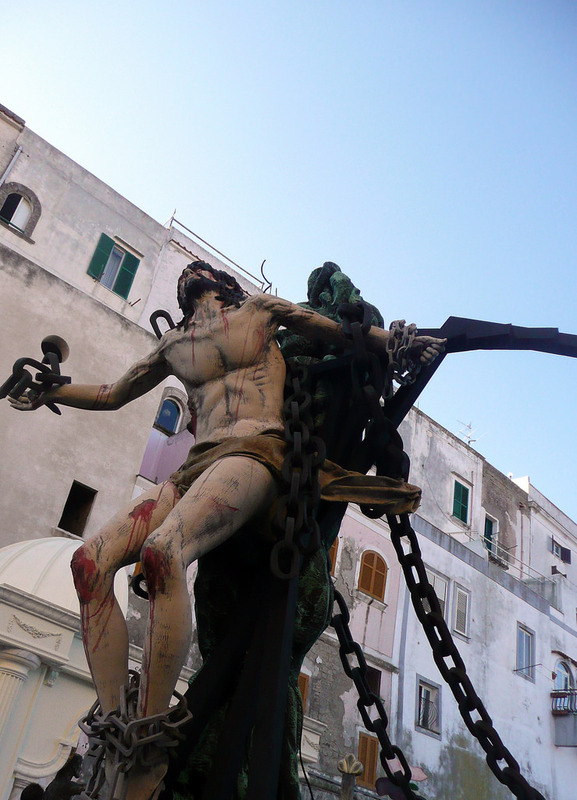 In Procida, Italy, a wooden statue of Christ, made by the Italian sculptor Carmine Lantriceni in 1728, is paraded through the street on the island off the coast of Naples. 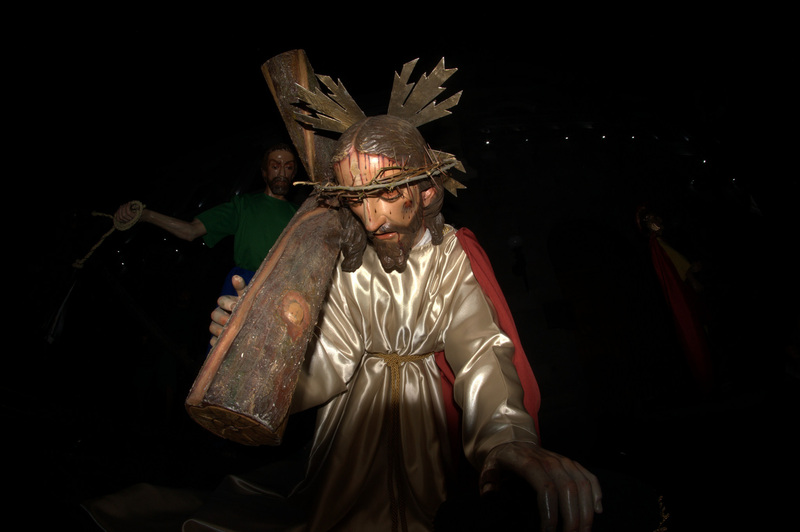 In Sicily Italy, a day-long passion procession featuring twenty floats of lifelike wood, canvas and glue sculptures of individual scenes of the events of the Passion is being held. It is known as Misteri di Trapani or the Procession of the Mysteries of Trapani. 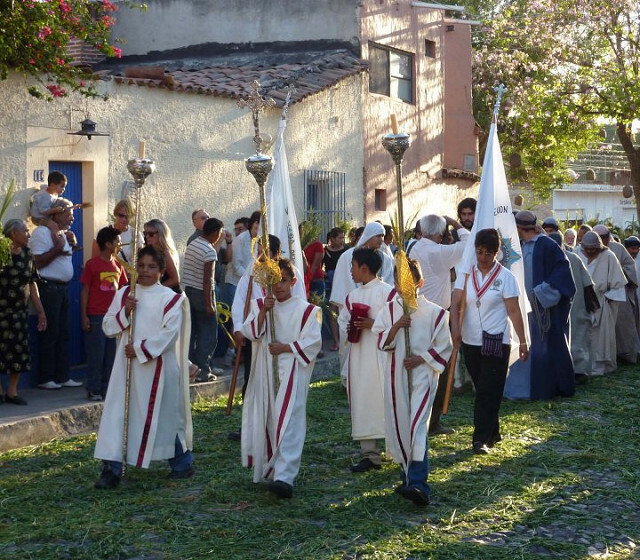 In Guatemala, Holy Week incorporates processions with images of saints carried on huge wooden platforms. 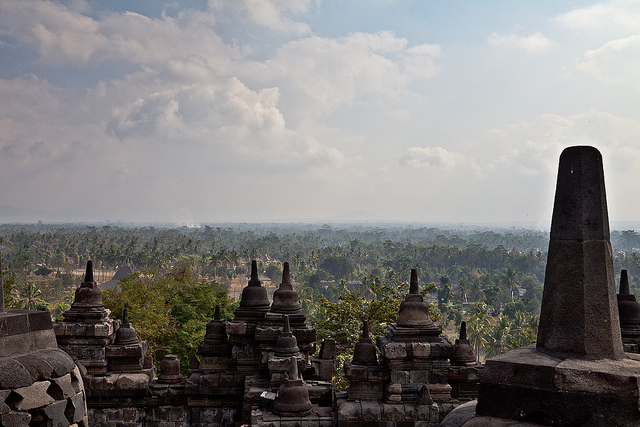 Locals, both men and women, who are frequently in purple robes, holds the heavy “andas”. The procession is led by a man holding a container of incense accompanied by a small horn and flute band. 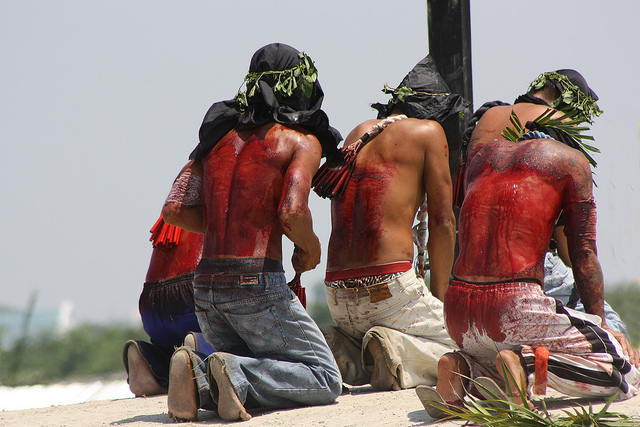 Yaqui Indians in Mexico, commemorate Holy Week with both rituals and theater. The celebration starts on Wednesday evening in which people arrive at the church on horseback and begin to crawl and dance naked on the floor. Light begins to go out and people begin the whipping, screaming and crying to the sound of ceremonial music of sacrifice. In Java, Indonesia, Christians hold a Good Friday processions in the city of Magelang where locals carry crosses. Holy Week in Jerusalem, Israel is celebrated with series of masses and processions starting on a Palm Sunday. 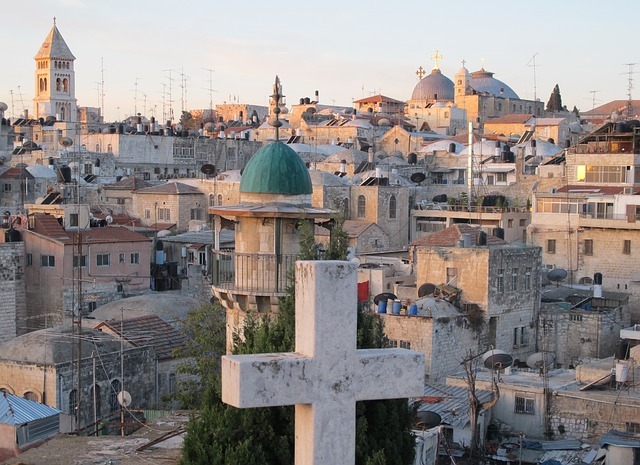 Being the world’s foremost pilgrimage destination during Holy Week, thousands of people from around the globe go to this place to join other Christians with the reenactment of Jesus’ journey until his death on the cross. Holy week in the Philippines begins on a Palm Sunday where people carry palm fronds called “palaspas” to church to be blessed by the priest. They bring those palms home and use it as shield against evil spirits by putting them in front of the door or at the windows. Beginning Holy Thursday, most businesses big or small, are closed and work in both private and public offices are suspended. Most people return to their home provinces to observe the holidays by joining masses, processions and other local practices and traditions like pabasa (epic poem narrating Jesus’ life and death by singing), senakulo (Passion play) and pinitensya (public penance). Great post! Very timely as the Holy week is now fast approaching. It’s nice to see how other countries commemorate Holy Week, as I’ve never went out of the country to during the holy week! Thanks for sharing this! See that photo on the Philippines? The place where people usually do that is here in our place. To be specific, it’s ere in our town in Pampanga. Now that the Holy Week is near, I’m sure people who will repent will visit the place in Cutud, San Fernando to experience the culture first-hand. It’s kind of bloody there. Always. This is a timely and nice post. I havent thought how other countries celebratenand observe holy week. Now, I have pictured how Holy Week is to others. It is really not necessary to do these rituals / celebration for Holy Week. But then again, the cultures in each country are different. How varied the celebrations are! I have not seen any such celebration in real yet but would definitely want to see one. Good collection of info on this festival. Greetings to all who celebrate. I didn’t had any idea how other countries celebrate during Holy week, only here in the Philippines. Thank you so much for sharing this as this will help me understand the true essence of why we should reflect during holy week and even everyday. Your photos just tell everything, how God sacrifice his own blood for each one of us. Wow! Love your sharing here! I have learnt much more about holy celebrations at different countries. Truly this sharing enriches my cultures awareness. 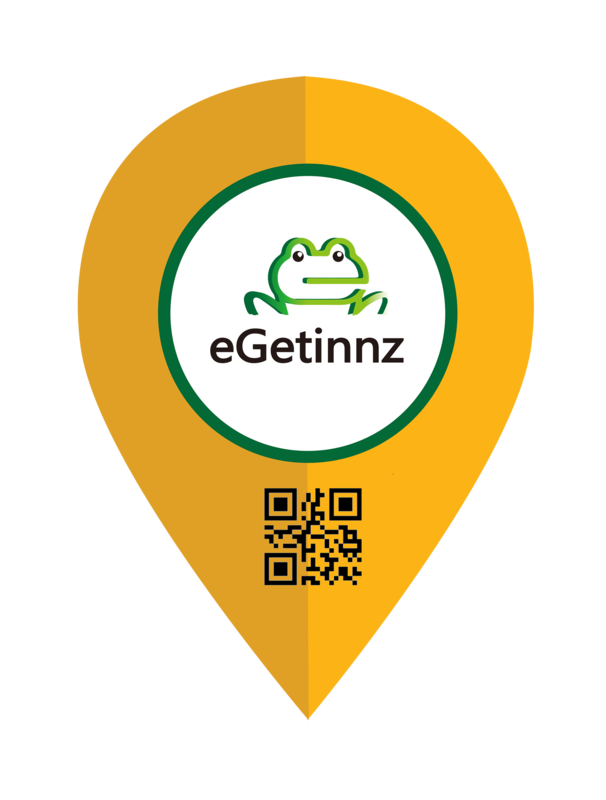 Thank you for this great post! Keep it up! This is very informative! I personally want to go to Israel too during holy week to experience it myself. And well, holy week’s significance is dropping each year as people only see it as rest days or holiday from work. Not mentioning people use these days to go on long weekend vacations. This is a lot of variations all together. I haven’t really experienced something similar but would love to if given a chance.